Visitors at The Barclays PGA Tour golf event will have the chance to use the latest payment technology from Mastercard throughout the course or while visiting the Mastercard Club in Farmingdale, NY. Concession and merchandise point of sale locations throughout the Black Course at Bethpage State Park will accept contactless payments—including the enhanced Masterpass digital payment. The public 18th Green Bleacher and Mastercard Club will allow fans to order concessions directly to their seat using Qkr! with Masterpass, an app developed by Mastercard that enables consumers to seamlessly order and pay for food via their smartphones. The app is available for free in the iOS App store or in Google Play. Masterpass enables consumers to look no further than their own trusted bank or credit union to make fast, simple and secure digital payments – across devices and channels – anywhere they want to shop, be it online, in-app or in-store. Mastercard is the first network to deliver an omni-channel, all-digital payment service for consumers, issuers and merchants leveraging the most advanced methods of payment security available today. Attendees at this year’s tournament will also be the first in the U.S. to experience the company’s evolved brand identity at a sponsorship event. In July, Mastercard unveiled an evolution of its logo—now simplified, modernized and optimized for an increasingly digital world, as the company positions itself to bring a forward-thinking, sophisticated and inclusive brand expression to every consumer touch point. Mastercard continues to go beyond its payment technology to bring golf fans closer to the game. 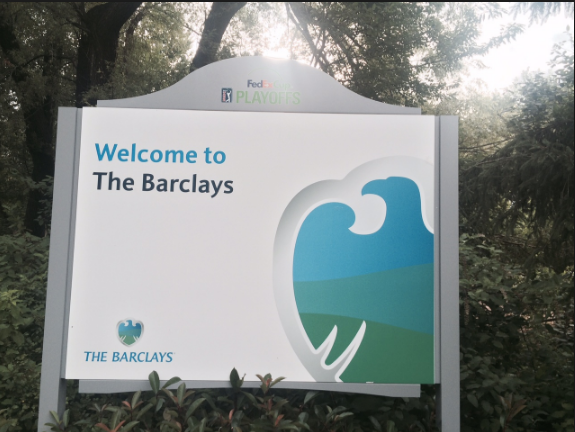 At The Barclays—which begins Thursday, August 25—Mastercard cardholders will enjoy exclusive access, experiences and benefits through the company’s Priceless Golf, Priceless Cities and Priceless Surprises programs.